And just like we do every Friday - I've got a free Silhouette Studio design for you today! 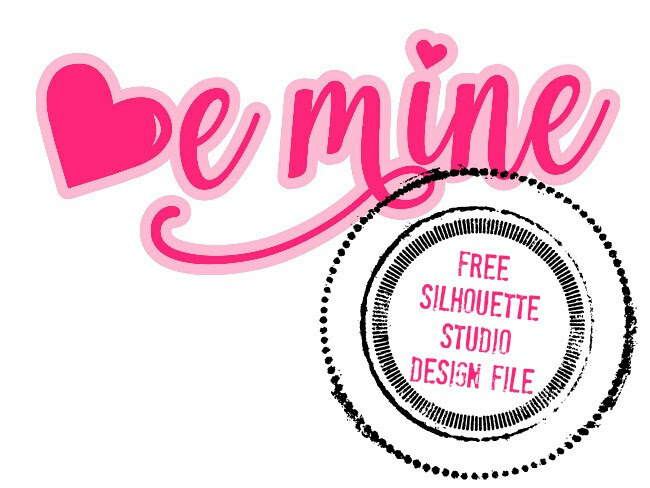 This week I'm sharing a free Be Mine design that's perfect for Valentine's Day. You can cut and apply this design with or without the offset! It's totally up to you! The file is free for personal use which means you can download it and use it all you want for yourself or your kiddos! So head on over and download this free design...and if you want to share please to link back to this blog post directly and not the file itself or the Dropbox.